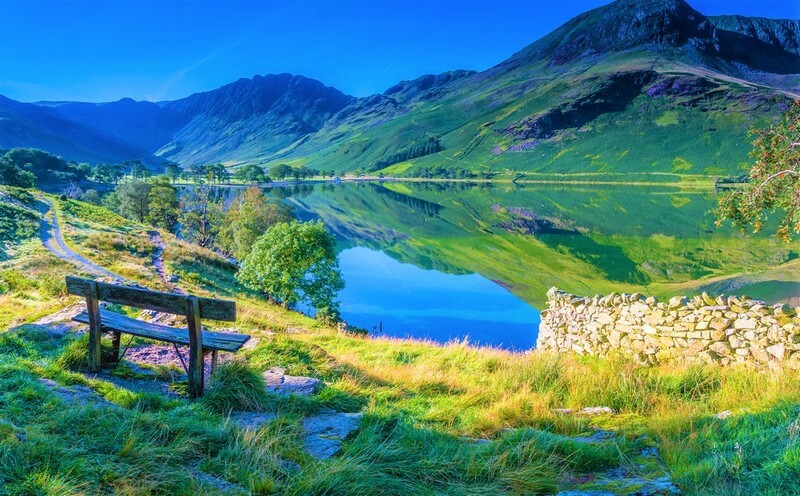 If you want the short answer as to why you'll fall in love with the Lake District then it's simple: because everyone does. It’s the beating emerald heart of England, rural and wild and yet so warm that when you return to it, it’s like shrugging on a favourite jumper. And I should know. Though my travels have taken me to some amazing places, it's the Lakes I’ve returned to again and again, armed only with a backpack, a weathered map and some good friends. And having been on trips for over ten years I can honestly say the levels of love I have for it are varied and plentiful, so let me share them with you and let’s just see if I can’t play matchmaker. If you’ve never been then what I’m about to say next will seem romanticised and rose-tinted, but after, when you’ve seen and been seduced, well then, you’ll no doubt agree. You see the thing about the Lakes is they turn you back into a child, roaming over those glorious mountains or beside the eerily still and stunning lakes, suddenly all those things you used to look out for, mystery, magic, mischief, well you find yourself looking for them all over again. Because out in that spectacular wilderness, which could easily be the backdrop to a fantasy novel or film, who knows what you might find? Because out in the wild when you lose the bridle path, or the beautiful starry night draws in, the line between logic and imagination skews. Which is why it’s no great shock that so many writers and story-tellers have found their voice in this glorious part of the world. 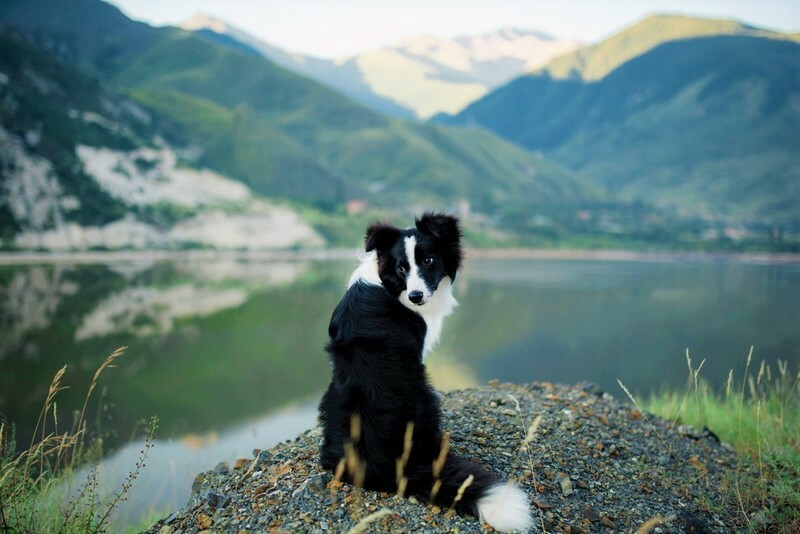 Dogs are in abundance in the Lakes and none more so than Border Collies. The Lake District locals have a particular fondness for them and it’s a little wonder why, they are of course the perfect dogs when working with sheep and let’s face it, they’re beautiful and very intelligent and quite often hilarious. As a former owner of a sensational Border Collie (the late, great, Muffin) I discovered that when sat outside a country pub or meandering along one of the gorgeous walks, your pooch will always be a talking point, and instantly puts you and strangers on equal footing. In fact, quite often you’ll find yourself falling into step with people you only met five minutes before, while your pooches race around together, equally as pleased to have made a friend. And for a very simple thing, it’s pretty wonderful. 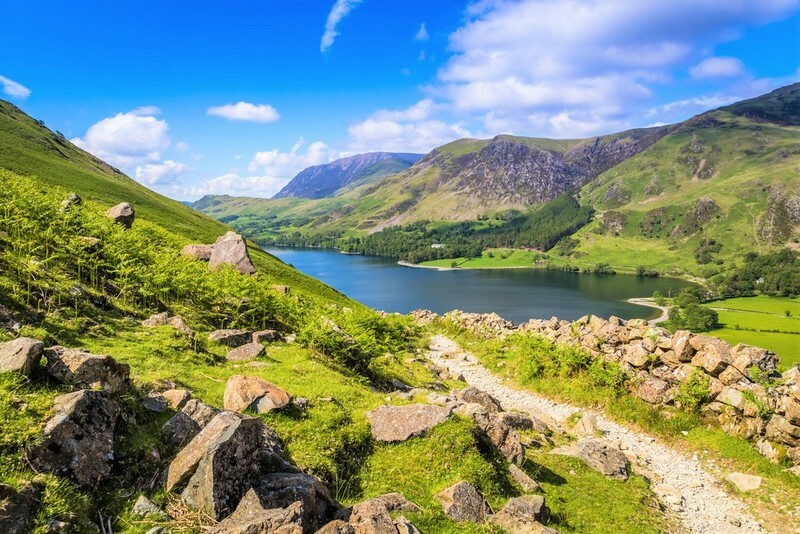 Walking and hiking are two huge pulls when it comes to holidaying in the wondrous Lake District. 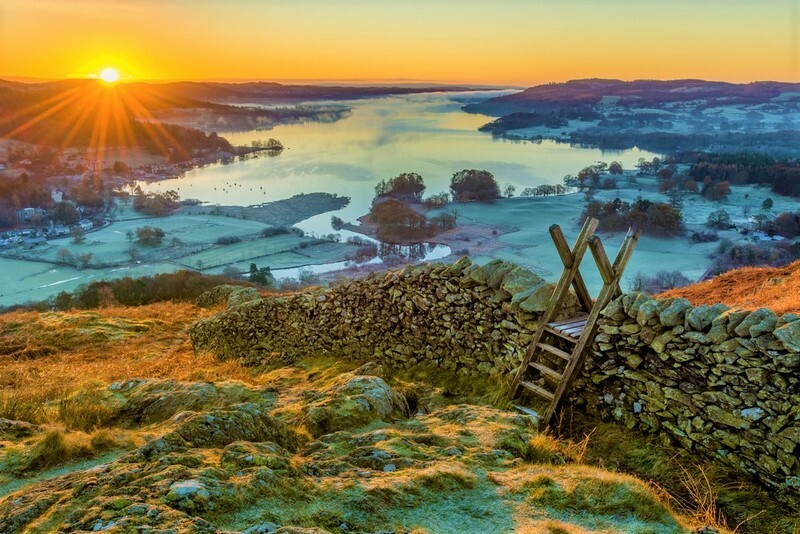 Chunky hiking boots, brightly coloured rain-coats and waterproof maps are all part and parcel of the preparing for a trip to Cumbria (and trust me, you only half-heartedly prepare once!). 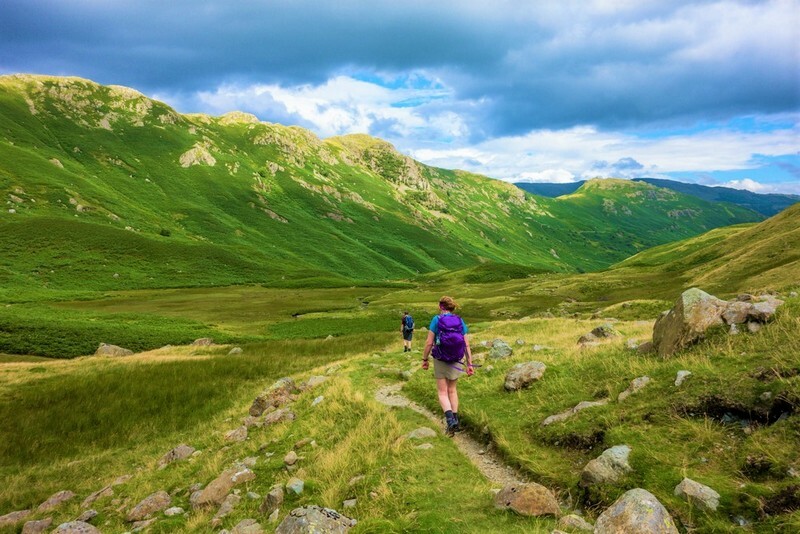 From mountains like The Old Man Of Coniston to walking trails like Scafell Pike, there really is something for everyone, so there’s no need to feel worried that you aren’t a proper ‘hiker’, the Lakes happily caters for all stages. If you’re looking for some great in-depth insights into good walks then you couldn’t do better than checking out A.Wainwright's series of books, which might be a bit old school now but still have some wonderful insights and great hand-drawn maps. Ah, camping. It might not be for everyone but if you’re going to give it a go or love it already then I would argue there are few places so rewarding to do it in than the Lakes. Waking up to a Cumbria sunrise, making tea on a camping stove and smelling bacon drifting from your neighbour’s tent as rabbits scamper about and birds sing is nothing short of bliss. Of course, there’s the midges and wet socks and a certain lack of soundproofing, so for a treat, it’s great to book yourself into a holiday cottage too! 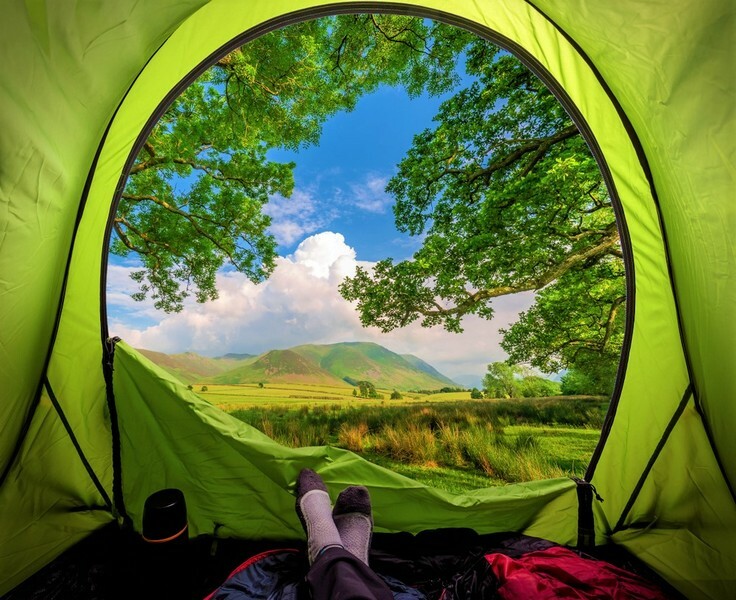 You get all the joys of the Lakes without all the camping hassle! I mean, I know I’ve said this really and that it’s obvious but if it’s worth saying once, then it’s worth boring people to tears with it, or so my motto has always been. Coniston Lake (and the bluebell laden woods surrounding it). Ambleside (this is perhaps the cutest of all the ‘towns’). The peak of the Old Man Of Coniston (wonderful view). Scafell Pike walk (no flip flops or heels!). Dove Cottage Grasmere (book lovers will love this). There are many more, but the key thing to remember too is that all the places in between here and there are just as pretty and just as wonderful to explore. So, get some walking boots and grab your pooch and get gone! I had never sailed or done any sort of messing about in boats before visiting the Lake District, but it’s now one of my favourite pastimes. 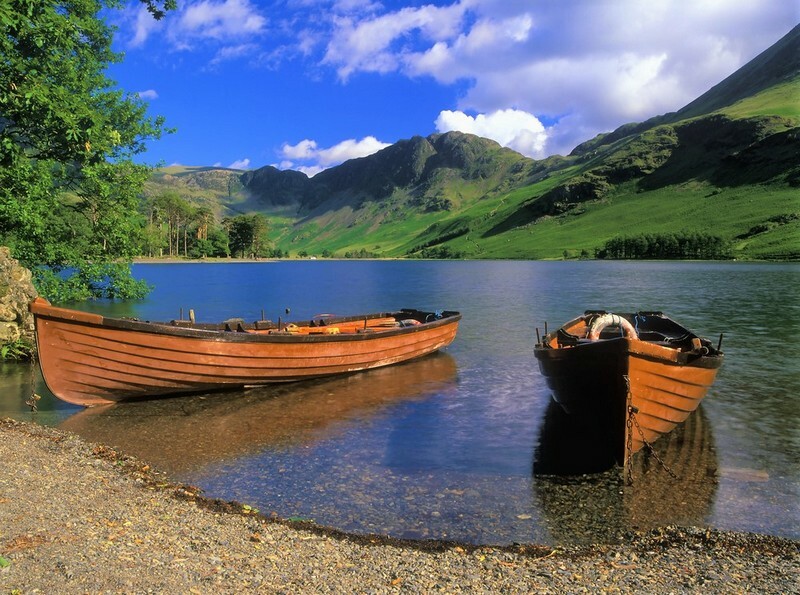 From rowing boats to kayaks or even a speedboat if you like, you can set off and explore the shorelines of Windemere, Bowness and Coniston. Take a picnic and pull up somewhere that feels newly discovered or simply float and enjoy the warm breeze and the occasional splash of water as you get overtaken by some other overzealous tourists. It’s cheap and very cheerful and great for all ages, try it (and look out for all the cute names they’ve given the rowing boats while you're at it!). In Windemere, there’s a fantastic shop near the water which sells 36 flavours of ice-cream. This includes some classics like chocolate, coffee, and vanilla and then transcends into wonderful chaos with flavours such as apple pie, salted liquorice, and even mince pie. 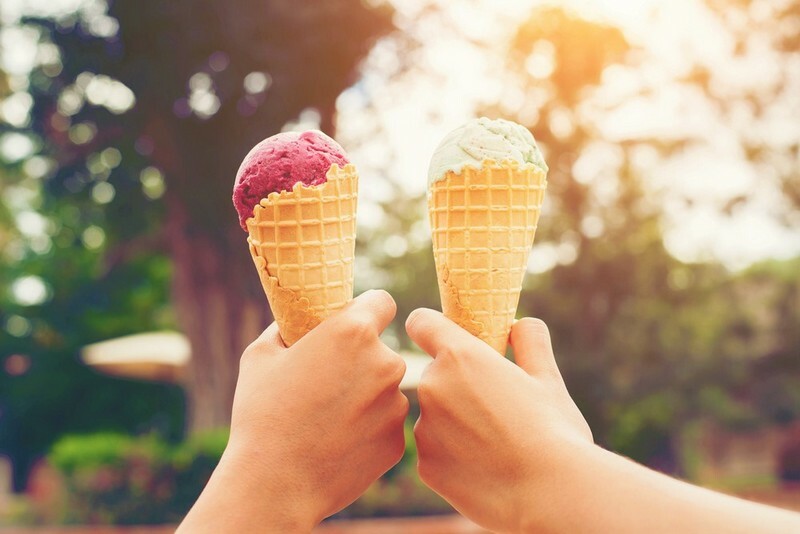 Grabbing one and then sitting by the waterfront is a time-honoured tradition for me and mine, as well as watching the swans, geese, and ducks squabble over those poor ice-cream cones that have sadly met with the floor! Traditional country pubs are one of the great delights of the Lake District, especially after a long walk. 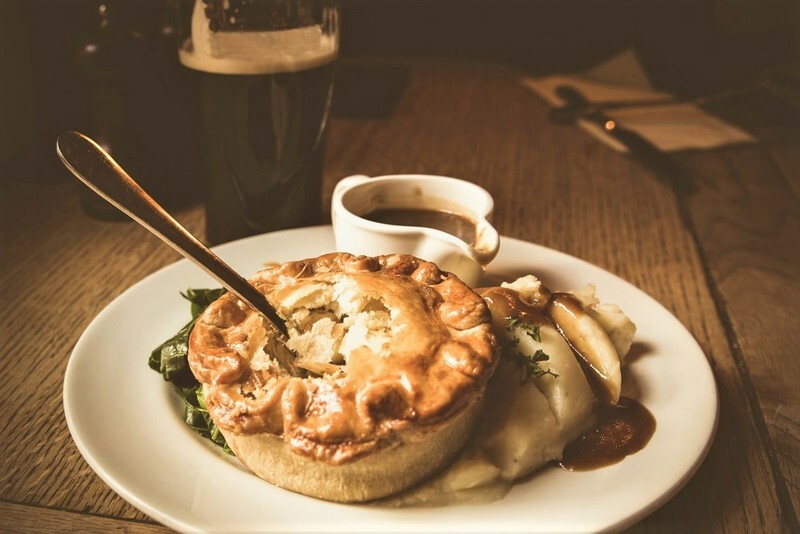 Walk in and you’ll be met with a great selection of ales, beautifully rustic décor and more often than not a fantastic pie. I highly recommend any pie of the steak and ale variety. And yes I appreciate there’s a lot of ale in my recommendations! You might think rain would make you miserable (and without a raincoat you’d be right, I can’t stress this enough: Buy a good raincoat), but in the Lake District, it's just not the same. The thing about beautiful places like the Lakes is that no matter what the weather is like, the visuals are always stunning. In the sunshine it’s an idyllic wonderland, in a storm, it’s a majestic kingdom, you’re so wowed by how beautifully moody it can look that you won’t mind a bit that your best friend is currently your wellie-boots! Better than that though is the fact that the Lake District's weather is notoriously fast to change, the downpours pass, often to glorious sunshine! 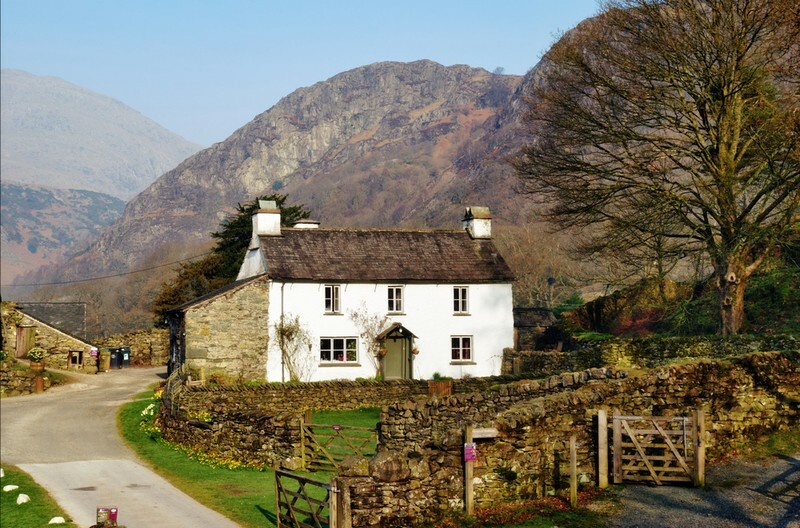 If you like reading, or are an aspiring writer, there are few places better to become immersed in literature than the Lake District. It’s inspired many a famous writer over the decades and no doubt will continue to do so. Lounging about near your tent, or curled up in your cozy cottage and reading is blissful, the peace and quiet are palpable and it allows you to truly lose yourself in another world. The Beatrix Potter Gallery and her farmhouse in Hawkshead. John Ruskin’s home in Brantwood. Wordsworth’s home in Dove Cottage in Grasmere. Again, you'll find much more when you start to explore so we won't ruin all the surprises! And there we have it. 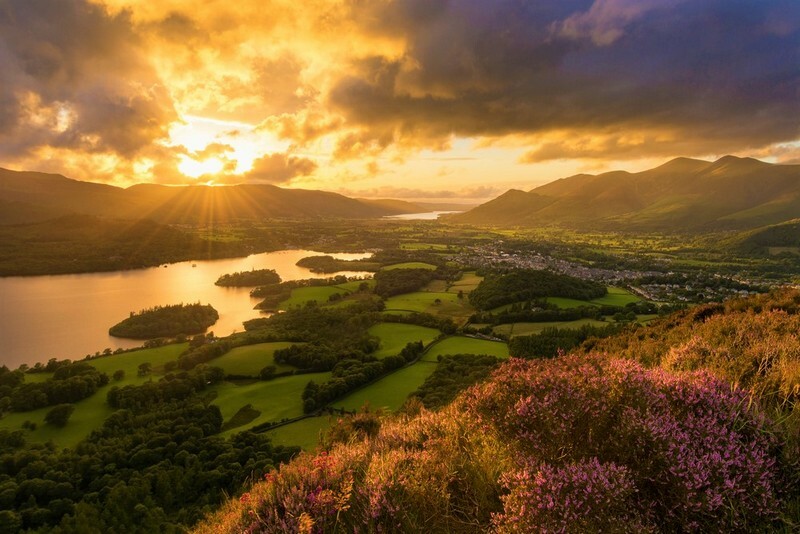 10 reasons you’ll fall in love with the Lake District. A mere 10 at that, there’s plenty of other reasons, but you’ll have to find those out for yourself. Need a place to stay? Why not check out our lovely holiday houses in the Lake District.